PET Scan for brain injury (Positron Emission Tomography) is one possible scanning option for mild brain injury diagnosis because it is a functional imaging test, which is more sensitive to the diffuse changes seen after MTBI than CT, but perhaps no longer MRI. A PET scan for brain injury uses radiation, or nuclear medicine imaging, to produce 3-dimensional, color images of the functional processes within the human body. PET stands for positron emission tomography. The machine detects pairs of gamma rays which are emitted indirectly by a tracer (positron-emitting radionuclide) which is placed in the body on a biologically active molecule. The images are reconstructed by computer analysis. 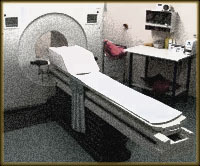 Modern machines often use a CT X-ray scan which is performed on the patient at the same time in the same machine. Although a PET Scan can be used for all parts of the body it is well known for its use for the brain. PET Scan for brain injury has been outdated with the advancements they have made with MRIs. Today’s imaging with an MRI can detect more about brain injury than a PET Scan. Even though they are not precise on the severity of brain injury they can give a good indication of it and what part of the brain is effected. Advancements in brain injury imaging is particularly eminent when it comes to mild traumatic brain injury or MTBI. As stated many times on this site, the medical community often misdiagnoses or does not diagnose at all some brain injuries. Functional imaging studies measure some aspect of brain function, so they can identify evidence of diffuse brain damage which wouldn’t show up on a more conventional test. SPECT, now used less and less.